Fully recovered from a massive crash at the previous round, BimmerWorld is ready for Round 5 at Lime Rock Park. The #80 car sustained rear-end damage at VIR, which set into motion almost a month of repair work to get the car ready for Lime Rock. Bumps, bruises and a seriously bent BMW have all been healed in the month since the BimmerWorld/GearWrench team last raced, and with the next round of the GRAND-AM Continental Tire Sports Car Championship this weekend at Lime Rock Park, the Dublin, VA.-based team is ready to get out of the shop and back onto the race track. After receiving a bump from a competitor at the fastest section of Virginia International Raceway, the #80 BimmerWorld/GearWrench BMW E90 of James Clay and David White sustained rear-end damage that had an accordion effect on the race car, which set into motion almost a month of repair work to get the car ready for Lime Rock this weekend. While Clay’s veteran staff of BMW experts spent the month of May working the #80 back into racing form, he says the process of reanimating the E90 didn’t start on the BimmerWorld shop floor, but rather, at a partner’s facility. With the #80 BMW looking fresh and new and ready to go racing, it will be joined by its sister car, the #81 BimmerWorld/GearWrench BMW E90, in carrying the logos of new team partner, CRC Industries. 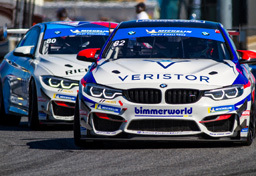 As BimmerWorld moves from strength to strength in GRAND-AM, joining with the right sponsors is critical to the team’s growth. According to Clay, having the perfect tool partner in GearWrench and having the perfect automotive chemical partner in CRC provides BimmerWorld with a definite advantage. Now that the waiting is almost over, David White says he can’t wait to get behind the wheel of his #80 BimmerWorld/GearWrench BMW at a track where all of the E90’s performance attributes can be exploited. 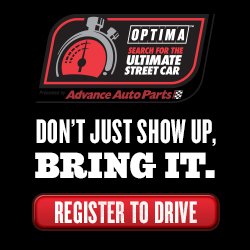 Clay and White will have their usual partners in Seth Thomas and Bill Heumann alongside them at Lime Rock for what has become the most consistent 1-2 punch in the Street Tuner class. Coming off a second-place finish at VIR – the #81’s second trip to the podium in just four races – rookie driver Bill Heumann sits second in the ST-class driver championship, tied with co-driver Seth Thomas, and leads the Rookie of the Year standings. For Heumann, having so much success so early in the season hasn’t been entirely unexpected. “I am certainly proud to be part the team and for our results so far. Seth and I set the goal of winning the Driver Championship at the onset of the year and that is still our intent. So far, we are where we need to be. The difficulty with big goals like that is that they aren’t actionable by themselves. For me, I have to reduce the big goals to smaller, more distinct segments. The green flag drops on Round 5 at LRP Saturday, May 29th at 10:30 a.m. 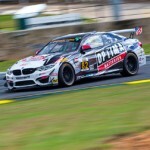 ET, and be sure to follow the BimmerWorld/GearWrench team this weekend at LRP at www.BimmerWorldRacing.com.